Successful innovation offers businesses unrivalled opportunities for growth, but how far can existing organisations cultivate ground-breaking ideas, products and services within their business architecture? Can organisations pivot quickly enough to enable innovation to flourish, do the antibodies within organisations stifle success, and are new ventures needed to build the innovative platforms of the future? Join us at 4pm GMT (12 noon ET, 9am PT, 5pm CET) on 21st March when our host, David Howells, and panellist David Bovis will be speaking to our guests. We are joined by Dr Andreas Berger, Co-Founder and CEO of HUMADA Inc., Roberta O'Keith Business Excellence Black Belt for Black & Veatch, David Dowsett, Global Head of Strategy, Innovation, Capabilities and Transformation at Invesco US and Yvonne Wang, Co-Founder and Head of Operations and Product Development at Signac, as we learn how best to cultivate innovation. Broadcast over YouTube Live, the Improvement and Innovation Show is hosted by David Howells and David Bovis. Every two months the panel are joined by guests from businesses actively involved in the latest innovation and improvement programmes and projects. 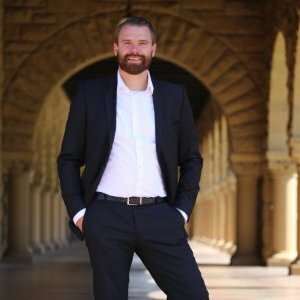 Dr Andreas Berger is the co-founder and CEO of HUMADA Inc. A serial entrepreneur and currently Visiting Scholar at Stanford’s Data Science Department, Andreas was previously part of the US-based management team of RWE AG leading M&A deals and a number of other projects within in Innogy SE Group. 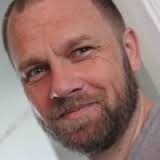 With experience spanning from running an IT company to management of small businesses across the globe, Andreas is a leading innovation-centric academic with a wealth of experience in building successful ventures. Roberta O'Keith serves as Business Excellence Black Belt for Black & Veatch, a global leader in building critical human infrastructure in Oil & Gas, Power, Water, Telecommunications and Government Services. Roberta identifies and leads projects, mentors professionals, and consults for senior leaders in the delivery of critical business improvements and innovations. Roberta is a guest speaker for numerous organizations and is currently a Board member of the Customer Experience Professionals Association. David Dowsett is Global Head of Strategy, Innovation, Capabilities and Transformation at Invesco US, an investment management company, where he is responsible for accelerating growth using disruptive technology, cultural change and strategic research and runs Invesco’s corporate Innovation program with a keen eye for envisioning how technology will shape the future and how to leverage innovation to deliver value. David’s previous work includes a decade at Fidelity Investments, where he was Head of Digital Transformation, FinTech Strategy & Innovation. Yvonne has held a variety of senior positions across tech, pharmaceuticals and financial services sectors specializing in large scale organizational change, business process optimization and strategy. She started her career in technology new product development and then expanded to other industries applying these techniques to solve immediate problems and build sustainable business models going forward. Most recently, she co-founded a fintech joint venture specializing in quantification of operational risks. In her spare time, Yvonne loves to go on adventures rafting and hiking with her husband and three young children. David Howells is MD of Pacific, an international executive search firm operating out of London, New York and Sydney. With a background in economics and marketing, David specialises in managing search projects in the fields of Operational Management, Performance Improvement and Re-engineering, PMI, Restructuring and Turnaround. 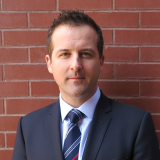 David Bovis is MD of Duxinaroe, a change management consultancy firm based in the UK. David has spent over 20 years leading change across Europe, developing world-class manufacturing, Lean and Six Sigma programs and studying psychology and neuroscience to deliver a deeper understanding of organisational culture and performance.